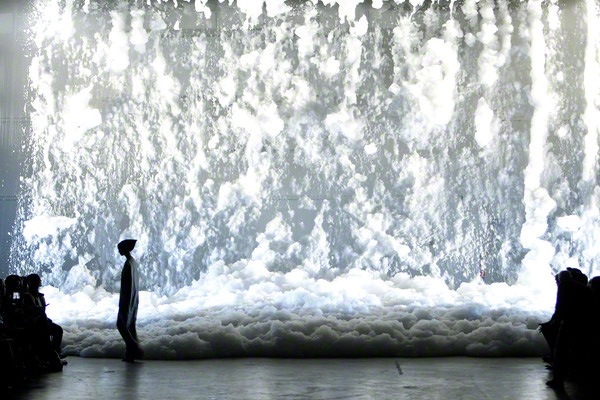 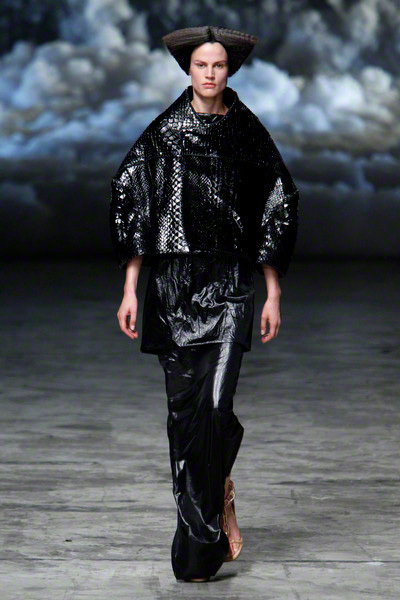 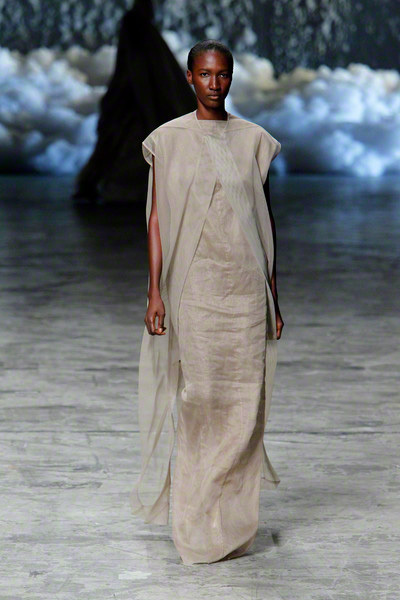 Rick Owens was in an angelic mood looking at the collection and the clouds that came tumbling down from the catwalk entrance. 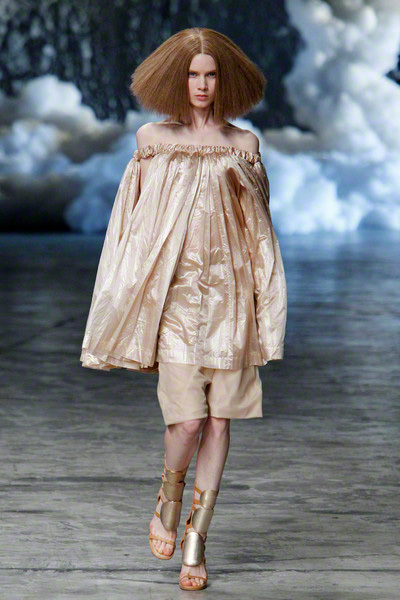 The models came in dresses of puffed-out proportions to match those of the clouds behind them – strapless and semi-transparent inflated dresses in soft grey or apricot shades. 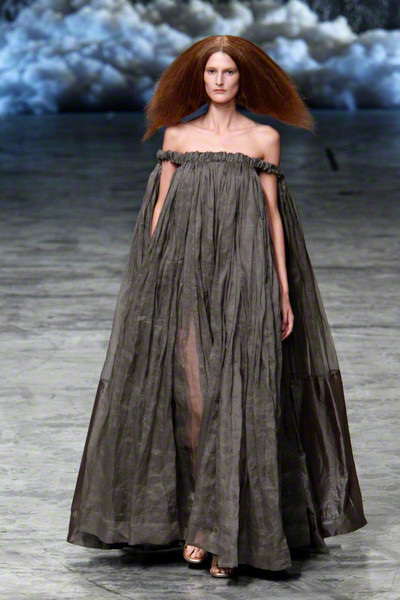 There were capes that followed in the same vein and further dresses that splayed out from off the shoulder. 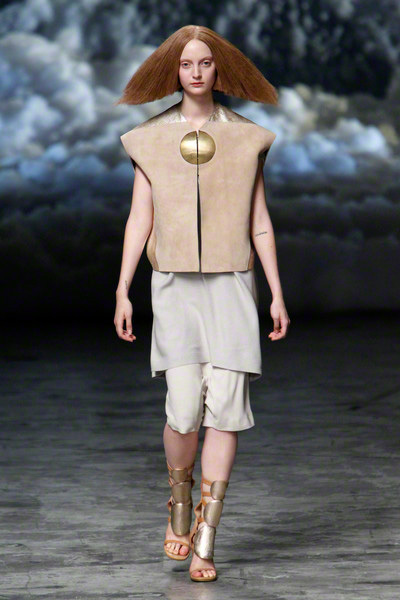 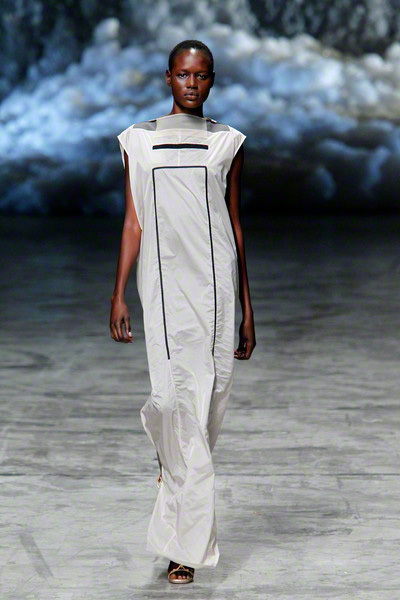 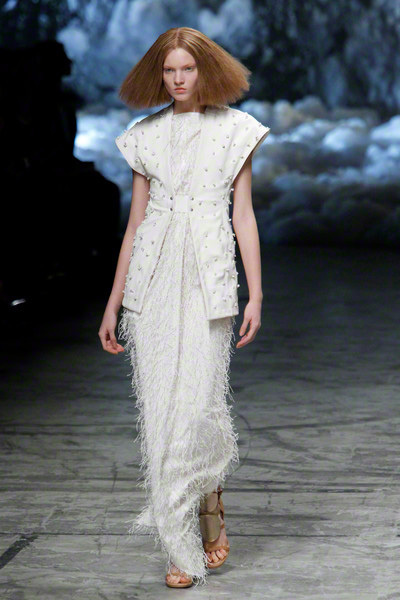 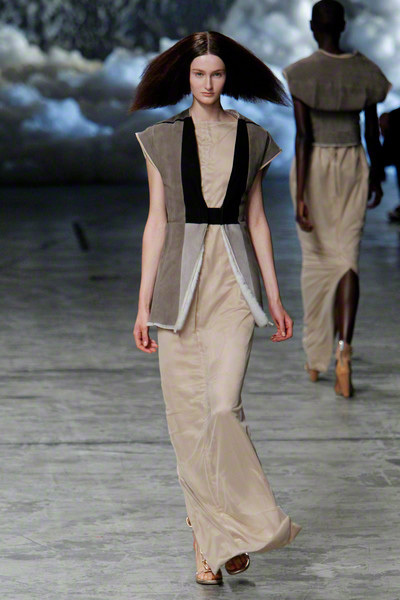 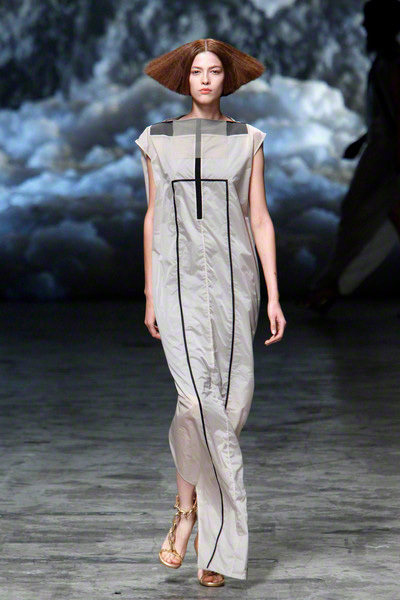 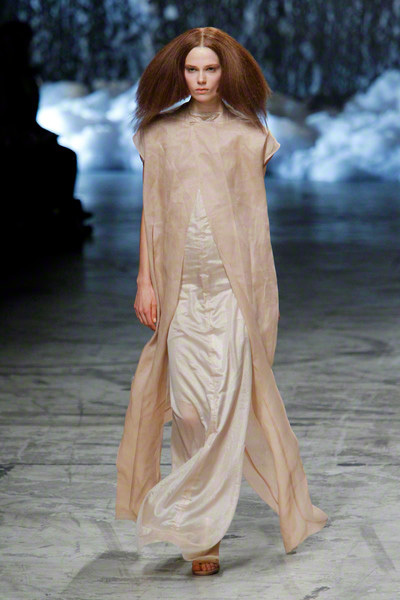 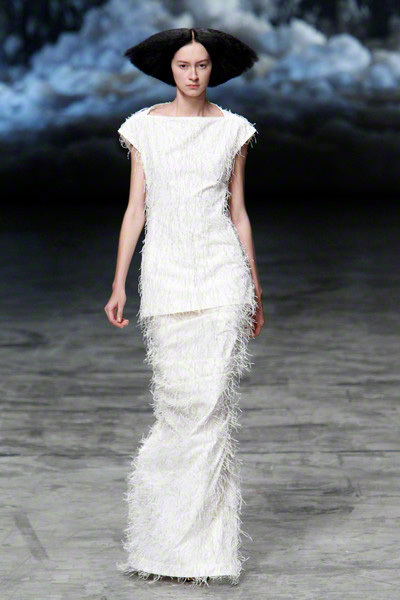 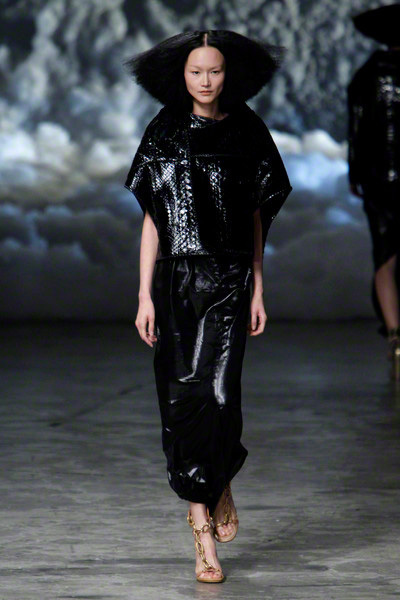 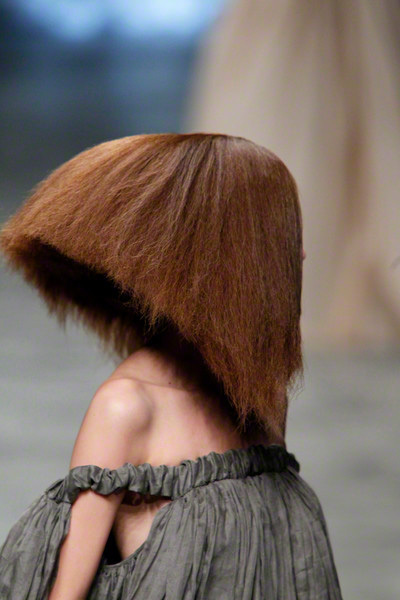 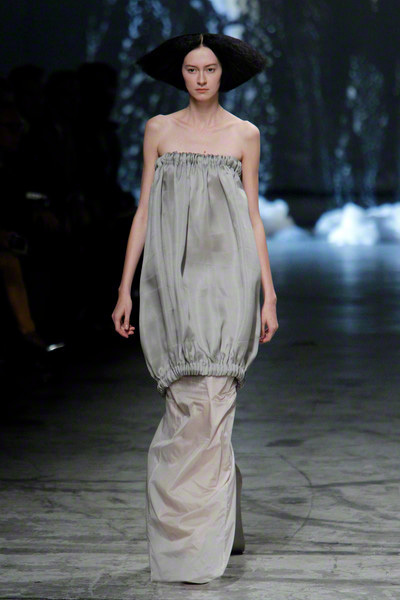 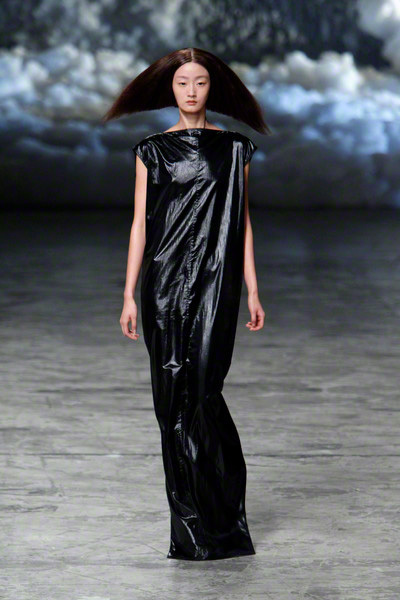 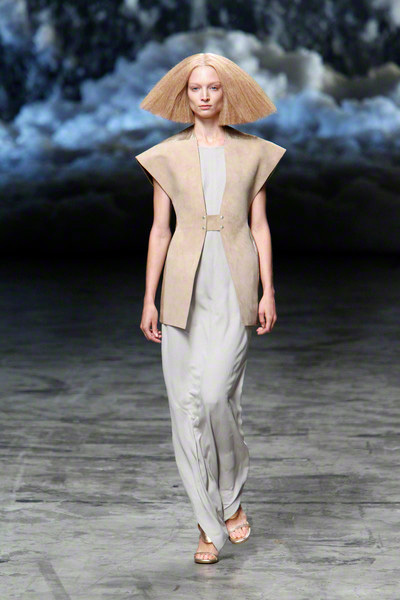 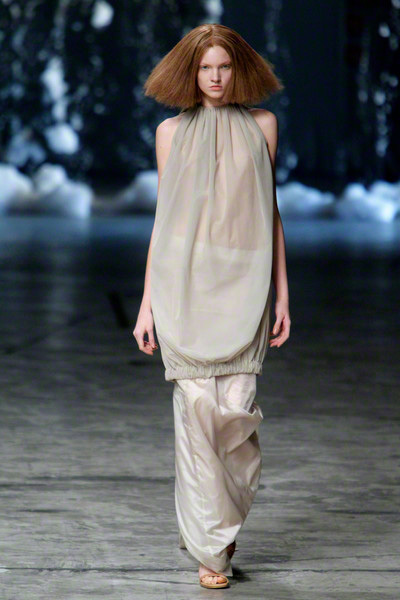 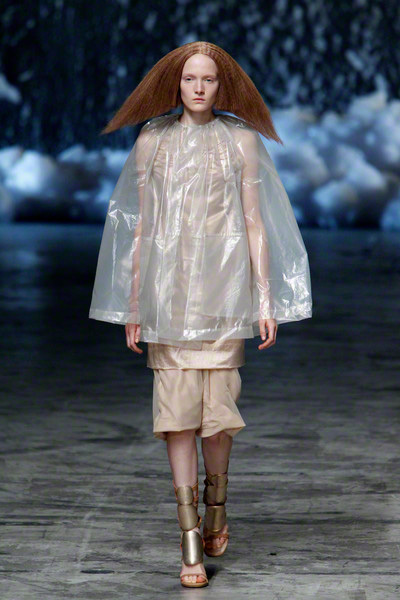 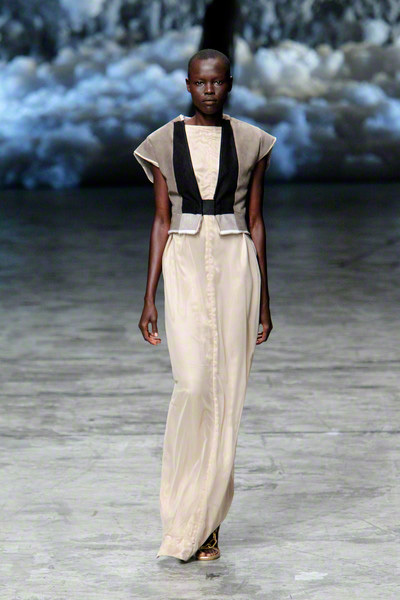 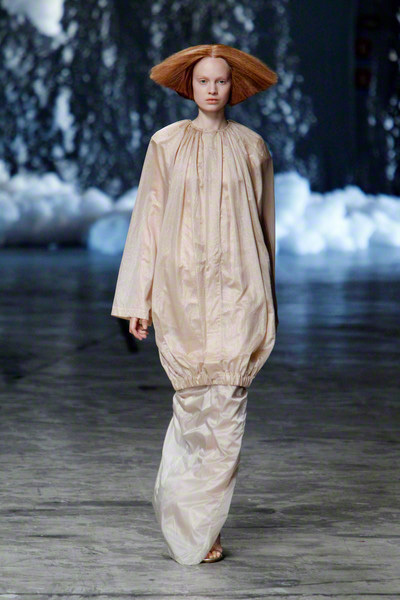 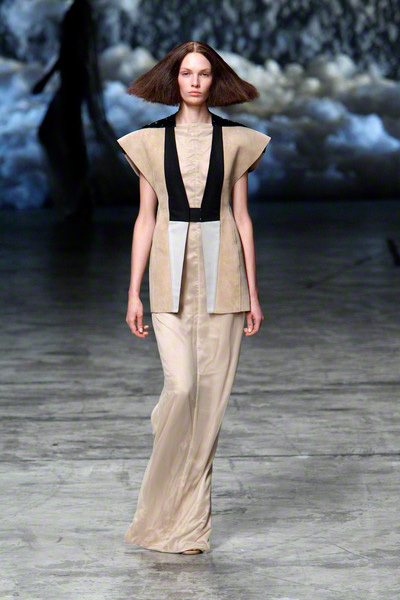 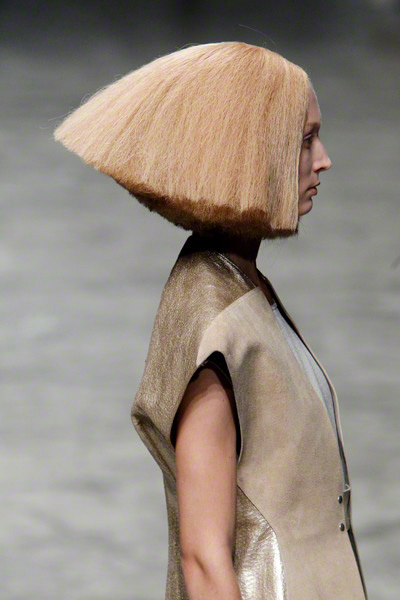 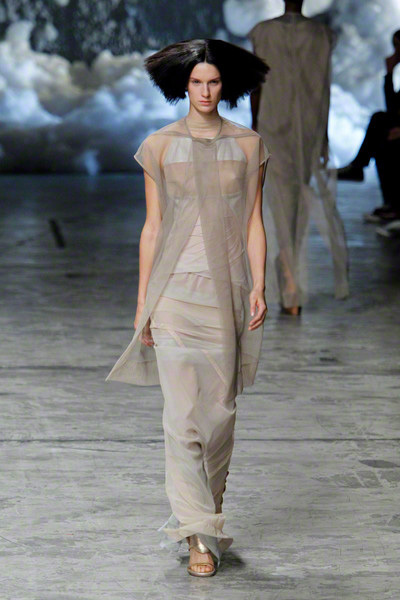 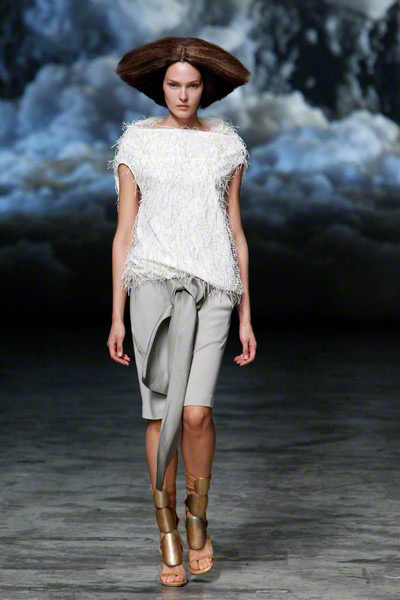 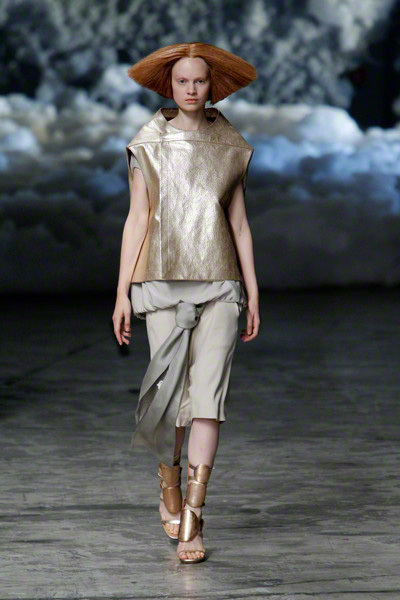 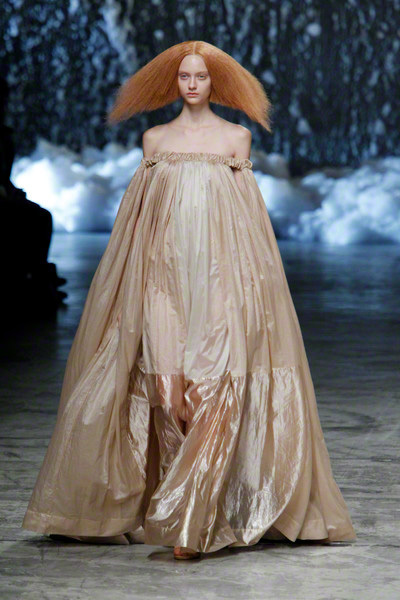 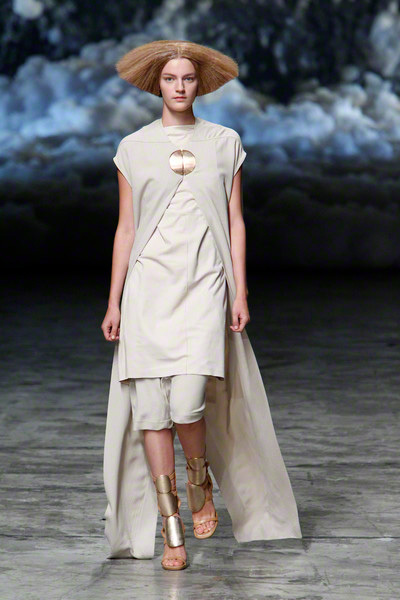 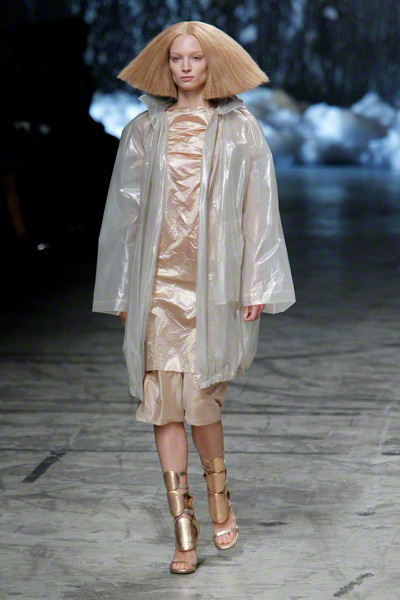 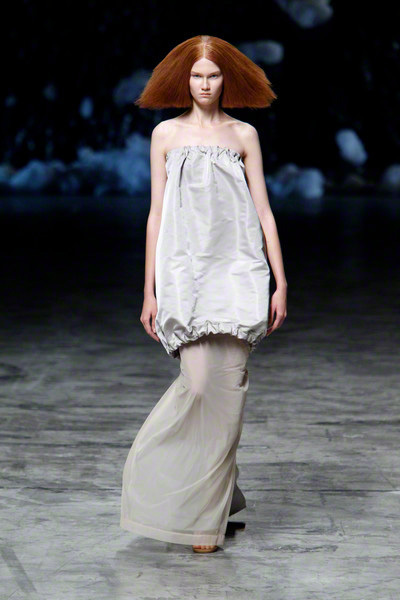 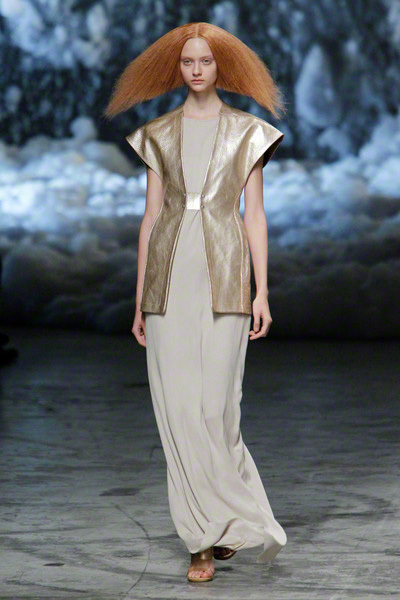 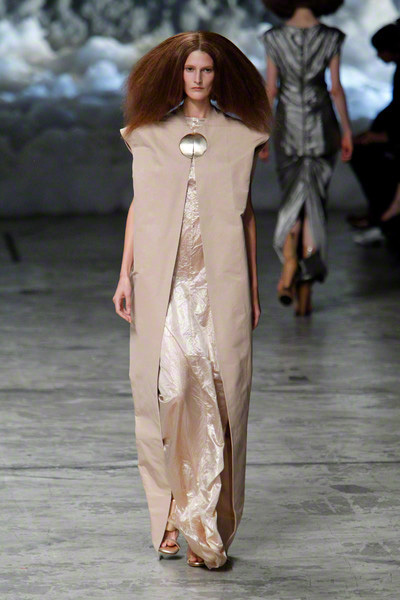 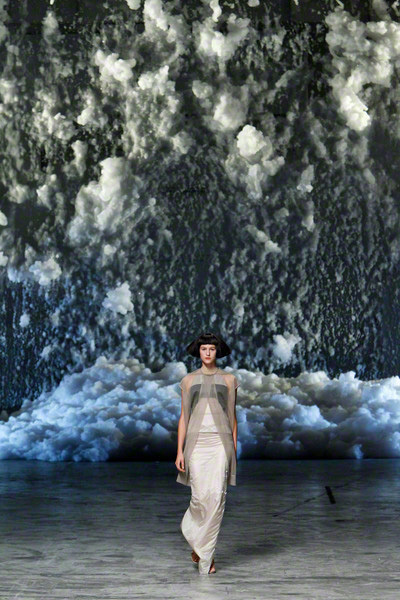 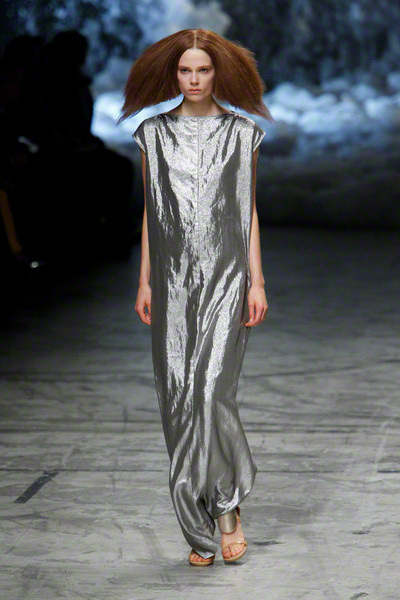 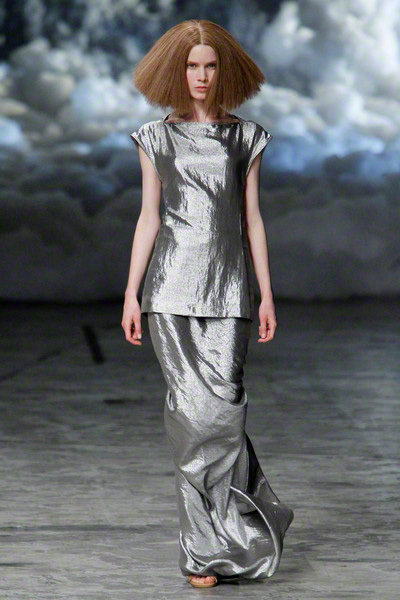 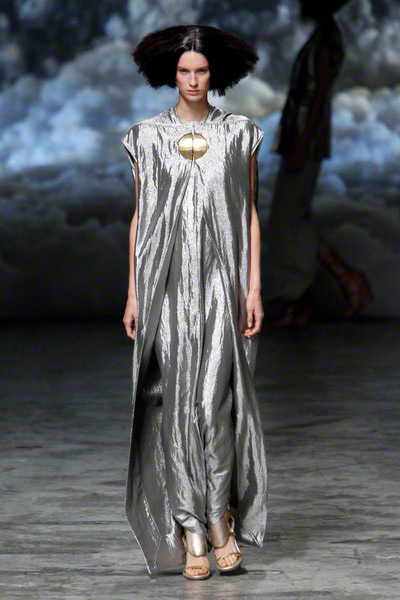 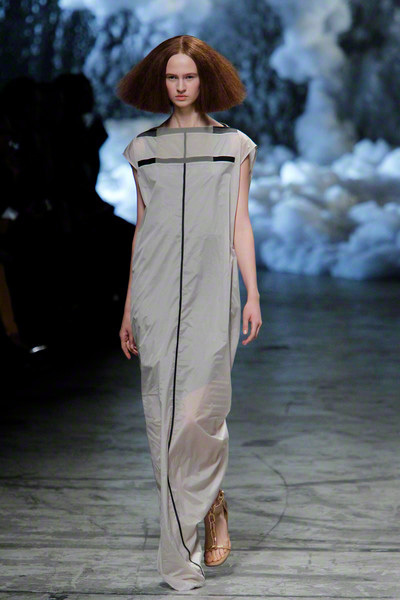 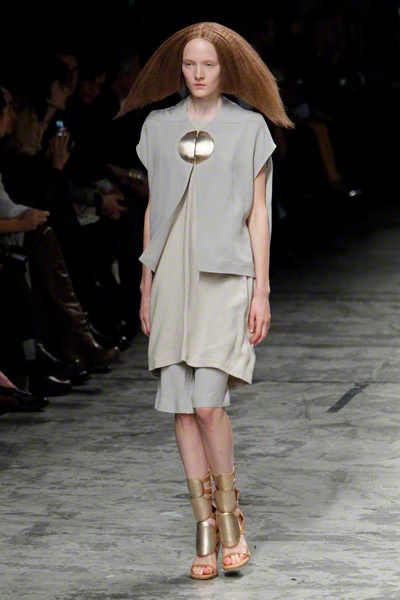 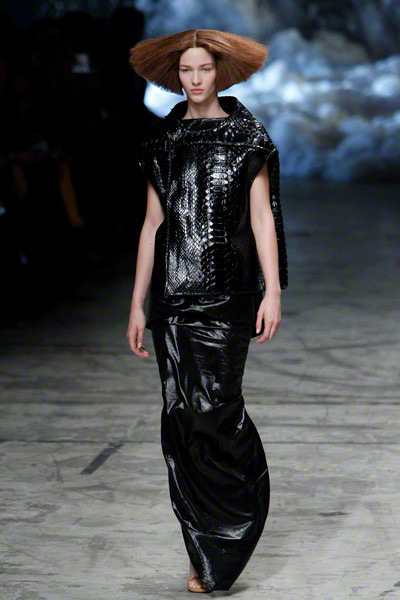 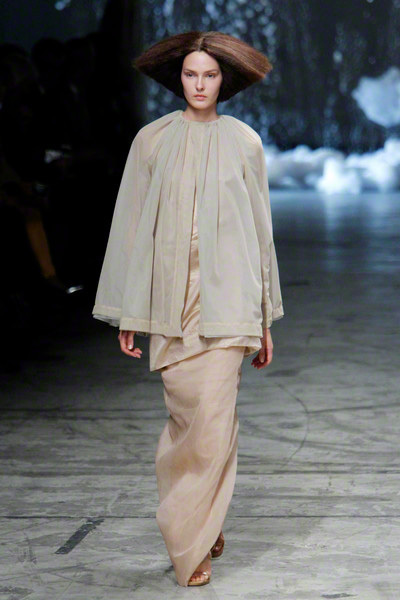 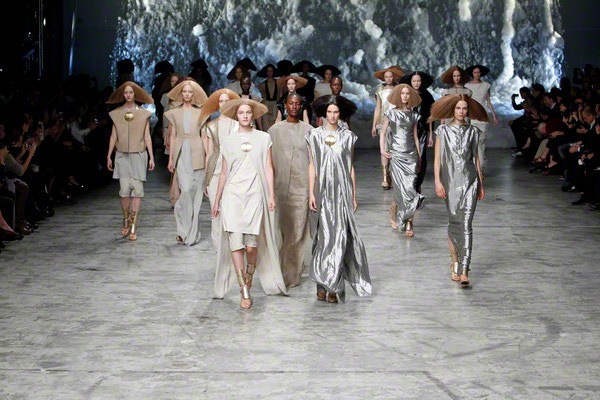 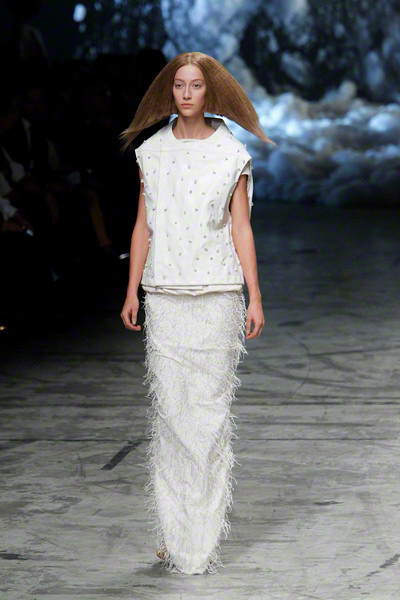 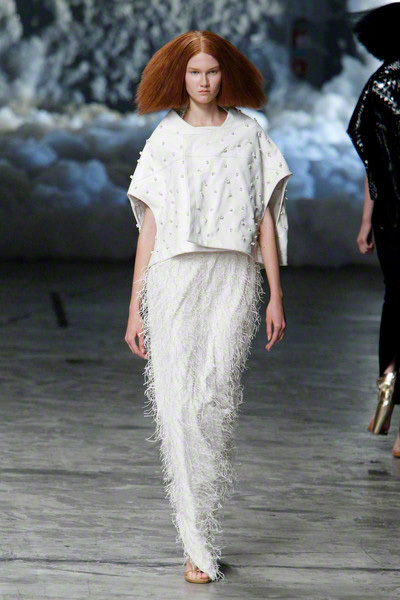 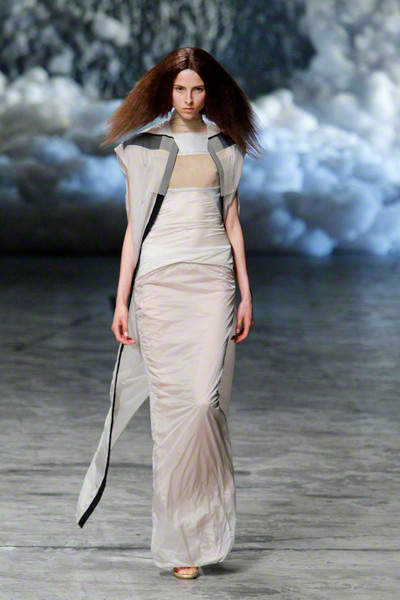 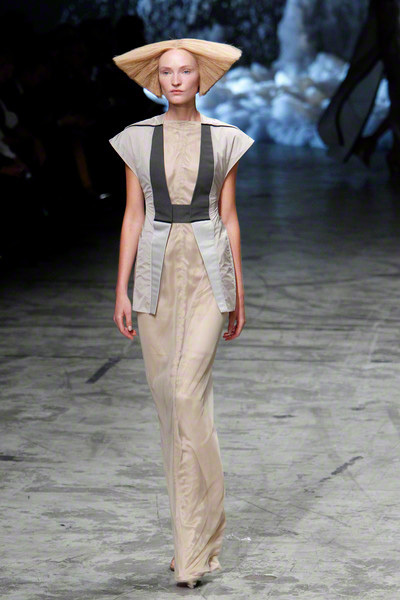 It was more feminine and light and pretty than we have seen from Rick Owens before.